It’s so easy to use. 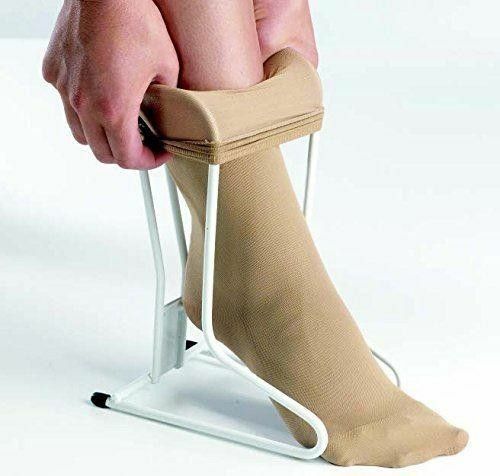 Simply peel the garment over the Sockaid and then peel it off onto the limb. 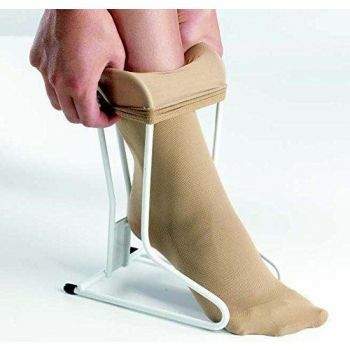 Sockaid has been designed for those who have difficulty fitting socks and compression hosiery.